First figure is for raw. Second - breaded. Langoustine, or Dublin Bay prawns, are landed. Next stop - the scampi factory. Scampi is an Italian word which migrated all over Europe. 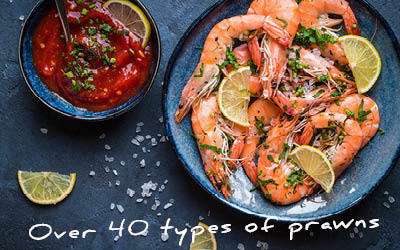 In most countries, especially Italy, scampi means the peeled tail of pretty much any kind of prawn but in the UK it refers to the meat of just one special prawn: the langoustine. Langoustine is a small lobster found in the colder waters of Scotland, Ireland and Norway. It is also known as the Dublin Bay Prawn, and as Norway lobster and often by its scientific name, Nephrops norvegius. Much of our langoustine is exported to Europe where the whole fish still in its shell is highly prized. But most langoustines end up as scampi. 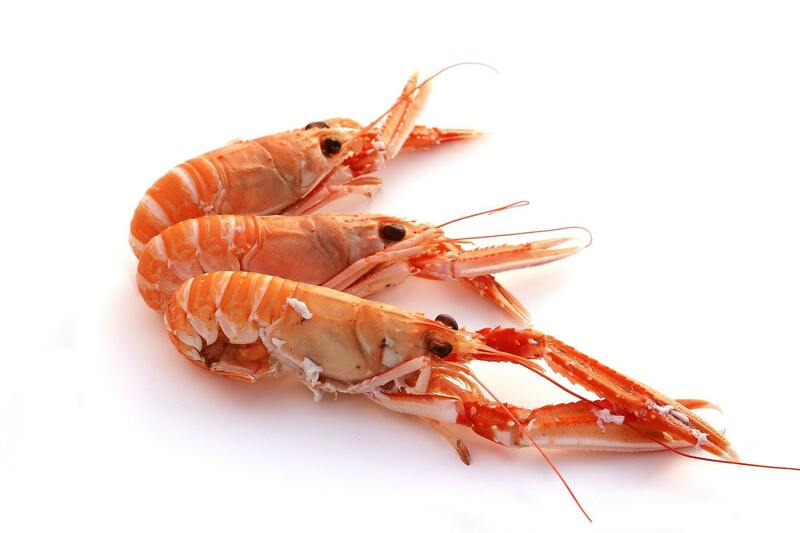 Although langoustines are relatively abundant, scampi's popularity means it is expensive. So it should be no surprise that scampi is routinely stretched to encompass every budget. Obviously, the device of choice is the breadcrumb - a typical coating of which will double and sometimes treble the weight of the scampi inside, enabling every pub menu in the land to offer scampi for a tenner or less. But the process can be taken much further: here are the ingredients of "scampi bites" in the supermarket freezer: Minced Cod 30%, Breadcrumbs 55%, Rapeseed Oil, Water, Scampi 7%, Stabilisers. 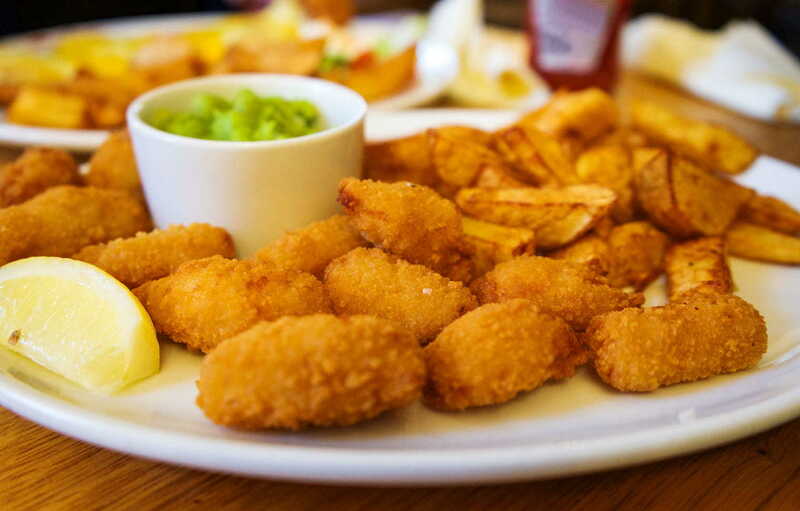 Proper "breaded scampi" however has some semi-legal protection: the scampi in your pub has a minimum scampi content of 33%. 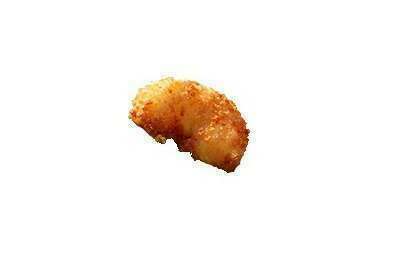 Nevertheless, water is usually added to increase the weight of the scampi inside the coating. Look out for its position in the ingredient list: the higher water appears in the list, the more has been added. But going too far has consequences: if the water content exceeds five per cent, the product name must include the words "with added water" (but the percentage does not have to be declared). "Wholetail scampi" contains two or three tails (three is the maximum allowed) inside the coating. "Formed scampi" is made from broken pieces of scampi. Our battered scampi comes from another family company. They create a very superior product - 70% scampi (with no added water) in a very light batter, It bakes in the oven and is simply gorgeous. And of course we also have breaded scampi. For this product, there are many choices, but our 40% scampi content, with minimal added water, is a top grade product. It too bakes in the oven and it's the top seller in our scampi range. Where did all that scampi come from? 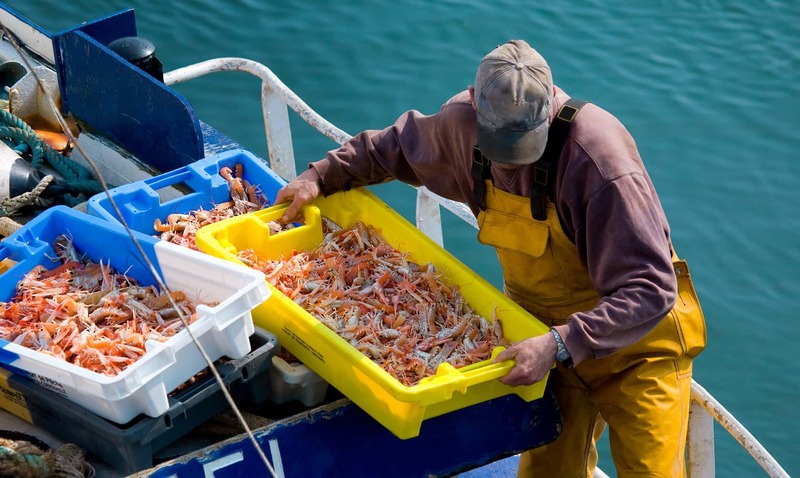 UK fishermen land about 30,000 tonnes of langoustine a year, mostly in Scotland. Led by Ireland, half a dozen other EU countries plus Iceland land about the same between them. 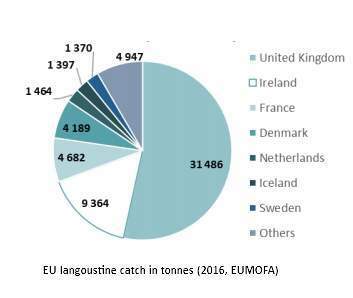 The UK catch is down from about 40,000 tonnes 10 to 12 years ago although the decline has stabilised since 2013. A regime of quotas and minimum landing sizes protects stocks and most fishing areas are considered well managed. Breaded and battered scampi of course need no coverage here, except to say that we hope you are eating your greens with them. Our peeled scampi is a diva which demands a supporting chorus. This is likely to include cream and probably alcohol too; we call our version Rich Scampi.